Matt Dixon is one of the world’s leading experts on sales, customer service, and customer experience. 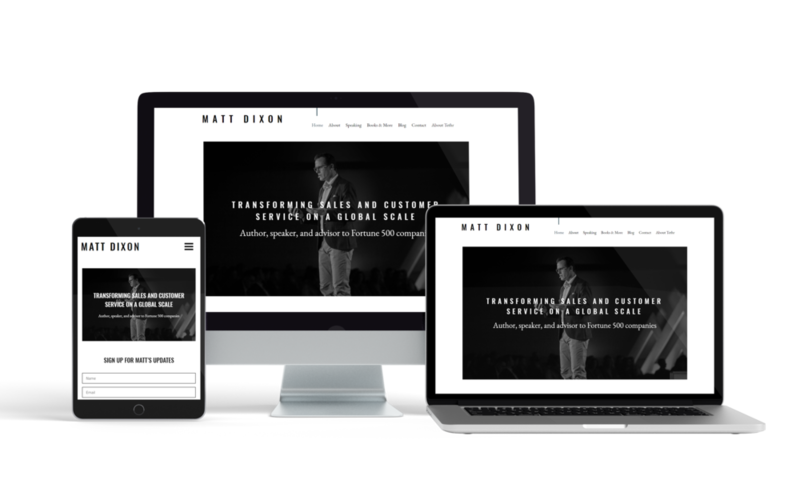 I was tasked with creating a website to introduce his brand and help Matt Dixon establish himself as a thought leader in his field. Style Tile — Matt Dixon wanted a minimalist color scheme as well as typography that felt authoritative and professional.